I always like a scent that’s a little heavier going into fall and winter and when we received a couple fragrances from Gucci, I was pretty sure these weren’t going to be lightweight scents. The word bamboo makes me think light however, so I really have no idea what to expect before trying this. A woody-floral with notes of mandarin essence, ylang ylang, casablanca lily, comoros sandalwood and gray amber accord; nothing screamed heavy to me. At first spritz, it seems light and a little different but still just a tiny bit too floral for me. Most scents seem to mellow out with time but this one almost seemed to intensify for me. The longer I wore it, the more I could smell it and I got a couple headaches because of it. There technically isn’t anything that I shouldn’t like about Bamboo but maybe there’s a note I don’t know about that I just don’t like or just the combination of them. I shoujld mention that I tried the Eau de Toilette, so I don’t know what the Eau de Parfum smells like, but apparently it’s different, and I’m assuming, even heavier. 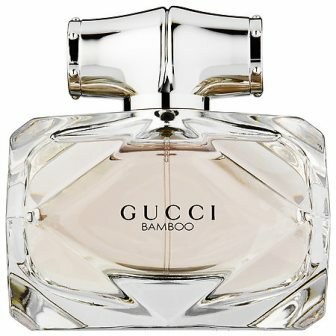 I really wanted to like Gucci Bamboo, but I was definitely defeated by it. That said, my mom loves it and already asked me for it.